You all know my love for Zara and boy do they do a good sale!!. I find Zara a little more "high end" high street compared to the likes of H&M, Mothercare and Next which is where I normally shop. However I managed to bag most of these for half the price Bargain!! I don't know about you but I find the sizing a little small, so it might be worth checking out their measurements on the site before you order. As you can see this is a rather colourful collection of items. I love seeing Darcy in colour as they really suit her. 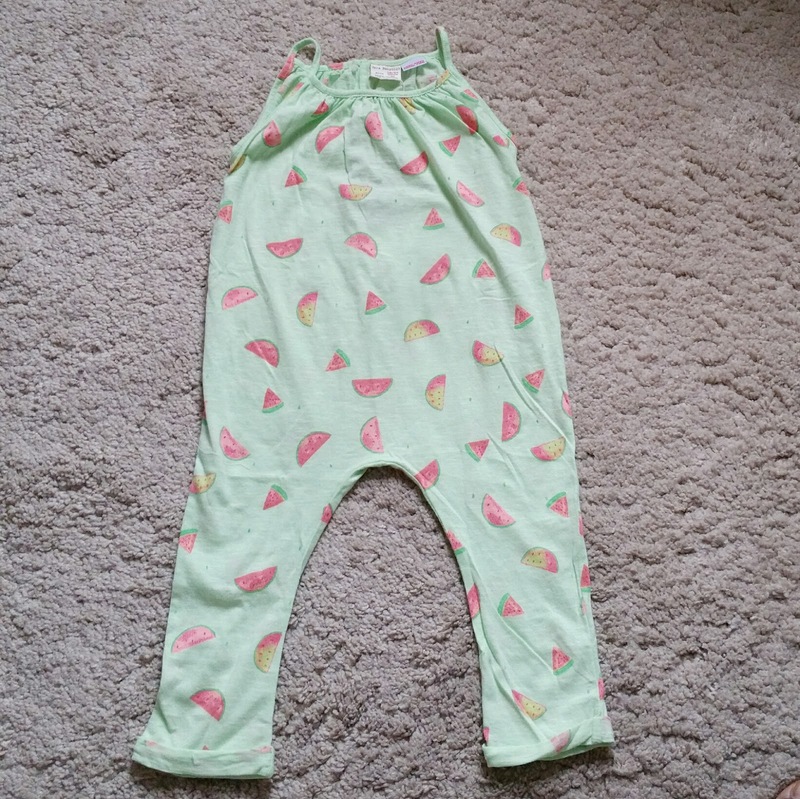 I fell in love with this watermelon jumpsuit, I love the fact that Zara use organic cotton in their clothing, it means they wash really well and no noticeable shrinkage. I was also drawn to these harem pants as they a little different to what I normally dress Darcy in. Yes another watermelon jumpsuit, but I love the colour, I will be teaming this up with a denim jacket and a pair of jelly sandals. I may have gone a bit OTT with the yellow, the top has a overlay of lace and the dress will be perfect for a playdate. Last up, I got Darcy a few shorts in a couple of different colours and how beautiful are these fringe sandals. I've been looking for a pair of smart sandals for her for a while now. I got these sandals in a size 6 so Darcy can grown into them over the summer. What is your favourite item from the haul? would you like to see more of these posts? Beautiful pieces. I love the sandals. May be popping into Zara to get one for my lo. I love posts ;like this. Keep them coming.